Youngsville Real Estate - Find Your Perfect Home For Sale! "Valerie Dupree is an excellent Realtor. She assisted us with selling our first home and buying our sec ond home. Most recently, Valerie sold my father's house. Both of the houses sold in less than nine days. Valerie is kind, compassionate, and generous. 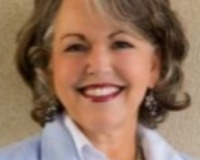 She has an extensive network of resources to assist with needs associated with selling and buying and is well known and respected in Johnston County. Our family highly recommends Valerie!" "Valerie Dupree did a wonderful job helping us sell and purchase our new home in fall of 2017. We appreciated her experience, professionalism, and dedication to us through each step of the process. Our house was under contract within 8 hours of listing. Whether you are buying or selling a home, I highly recommend Valerie for your real estate agent." In moving to the area after living out-of-state for many years, Valerie was recommended to me as an agent who knew the area well and was someone I could trust to represent me well in the home buying process. She far exceeded my expectations! A true professional in every way, she was an expert in the housing market in this area and beyond, had excellent communication and negotiation skills, was always very prompt and responsive in communicating with me, and I always felt she had my best interests in mind during the house-hunting/home-buying process. She was a great pleasure to work with and I would highly recommend her to anyone seeking to buy or sell a home. Valerie was such a joy to work with. She was very knowledgeable about the housing market and was there for us every step of the way. She acted as our buyer's agent when we purchased our home and as our seller's agent when we sold our home. We truly feel that the buying and selling process went smoothly due to her expertise and availability. I have worked with Valerie in both selling and buying capacities. She has been consistently knowledgable, helpful, responsive and effective. When I have reached out, she has responded very quickly. She has a great grasp of the pricing strategies that will sell your home quickly. Our first home sold in five months with her in a poor market, our second home sold in less than a month in a better market. In addition to being a very professional and effective realtor, she is a wonderful person! I feel so happy and grateful that we have worked together to sell two homes and purchase two homes over the past ten years. Anyone would be very fortunate to work with her! Valerie is a consumate professional who loves the work she does and the clients she works with. She has exceptional people skills and leaves no stone unturned when helping her clients. She worked with us to find a home in the Raleigh/Clayton area for over a year and finally convinced us that the only way we would be satisfied is by building our own home. Valerie was correct. We now have the home of our dreams and we are thankful that she suggested we consider this option. We moved here in January, 2014 and still keep in touch. My husband and I recommend Valerie Dupree without reservations to anyone looking to buy or sell their home or land. Having lived here all her life, she has a strong sense of what each client needs and can provide the knowledge of the area and resourcefulness to fulfill her responsibilities. Valerie has helped me sell and buy two homes. She is attentive and helpful, and she always goes above and beyond to help her clients. She is available to answer questions and provide advice, and she is very knowledgeable about all of the ins and outs of real estate. She has helped many of my family members buy and sell as well, and everyone has had a positive encounter. I would recommend her to anyone looking to buy or sell! Copyright 2019 Triangle MLS, Inc. of North Carolina. All rights reserved. The data relating to real estate for sale on this web site comes in part from the Triangle MLS, Inc. of North Carolina. Real estate listings held by brokerage firms other than are marked with the Broker Reciprocity logo and detailed information about them includes the name of the listing brokers. The broker providing this data believes it to be correct, but advises interested parties to confirm the data before relying on it in a purchase decision. Some properties which appear for sale on this web site may subsequently have sold and may no longer be available. This site is monitored for scraping. Any use of listing data obtained from this web site, other than by a consumer looking to purchase real estate, is prohibited. This data has been updated as of April 23, 2019 2:32 PM. © 2019 MLS of Goldsboro. All rights reserved. The data is deemed reliable but is not guaranteed accurate by the MLS. All properties are subject to prior sale, change or withdrawal. MLS of Goldsboro, the listing broker(s) nor information provider(s) shall be responsible for any typographical errors, misinformation, and misprints and shall be held totally harmless. Listing information is provided for consumers' personal, non-commercial use and may not be used for any purpose other than to identify prospective properties consumers may be interested in purchasing. Data updated daily. Data last updated: April 23, 2019 2:32 PM.